Petition to President Obama, the DNC and the City of Charlotte: Workers Rights for Charlotte City Workers NOW! 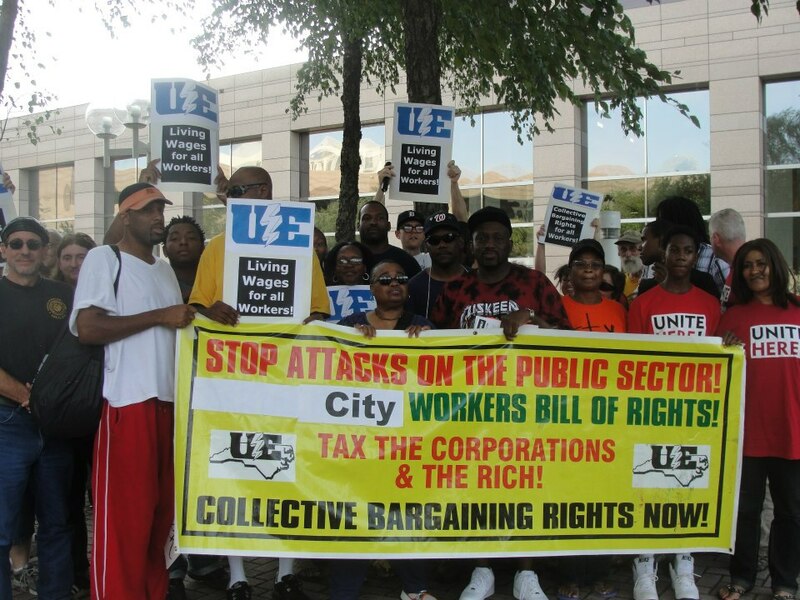 Tell the City of Charlotte and the Democratic National Convention: Support the City Workers’ Demands for Basic Workers’ Rights! Fill in the form below to send a message to the Mayor and City Council of Charlotte, the Mecklenburg County Commissioners, President Obama, the Democratic National Convention Committee, the North Carolina Governor and General Assembly, and members of the media (scroll down below the form to see the text). This petition sends in two parts. Clicking SUBMIT here sends to Charlotte officials, and pressing submit on the next page sends to national and legislative officials. Please press submit both on this page and the next. As the Democratic National Committee continues its preparation for the national Democratic Party Convention in Charlotte, North Carolina, to be convened on September 3, 2012, thousands of public sector workers and other public service providers in the City of Charlotte and throughout the state of North Carolina are being denied basic and fundamental worker’s rights. They are also denied important areas of cooperation by the City of Charlotte administration and management. Southern unions, workers organizations, civil/human rights groups, immigrant rights groups, unemployed, young workers, faith and community will gather in a Southern Workers Assembly on September 3, the opening day of the DNC to uplift our on-the-ground actual workers’ rights struggles in the US South and challenge denial of basic human rights and Federal Right-to-work (for less) laws that make it difficult to organize unions for fairness and dignity. 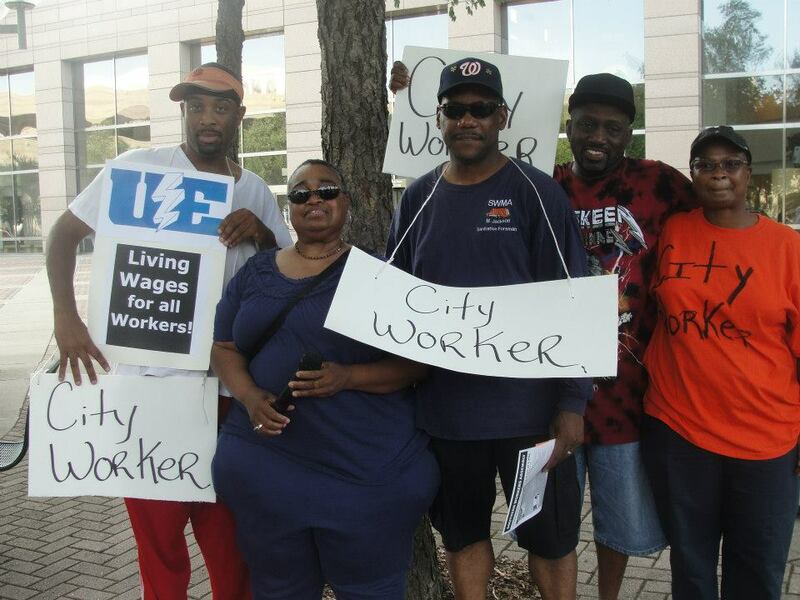 Unjust working conditions are part of the daily life of city workers in Charlotte. Unfair disciplinary actions such as 30 day suspensions for minor mistakes or infractions are a regular occurrence which many workers have complained about only to have their concerns ignored by management. City policies are not uniformly implemented and applied at the whim and biases of supervisors department by department. Reports of health and safety problems are routinely ignored by management. Wage increases for City workers are kept low or nonexistent while managers and supervisors have been granted thousands of dollars in pay increases and benefits provided by the city. ￼The Democratic National Convention (DNC) will convene in the City of Charlotte despite the fact that the State of North Carolina has been cited by the United Nations’ International Labor Organization (ILO) for its violations of international labor standards due to North Carolina General Statute 95-98, the law that prohibits the right to collective bargaining for public sector workers in this state. Despite the added work and dangers for Charlotte City workers in preparation for and in the aftermath of the DNC, and the fact that $50 million in federal funding has been allotted to the City of Charlotte to host the DNC, the City of Charlotte refuses to address the needs and rights of the City workers. As the largest city in the state of North Carolina, including being a major financial center for the Southern Region, Charlotte’s policies and practices on worker rights is an important trendsetter for the entire state. Moreover, conservative forces in the NC General Assembly recently eliminated the right of payroll dues deduction for members of the North Carolina Association of Educators (NCAE), the union for teachers and education workers. The City of Charlotte administration, following this conservative line, has refused to allow payroll dues deduction for it’s City workers who belong to unions and worker associations, and to set up a system of meet-and-confer that allows workers and management to meet, discuss, and resolve issues affecting the workers and the services we provide. The right to clear, just, and fair policies in the workplace, fair and just working conditions, and regular “meet and confer” sessions between workers and their representatives with state and local administrators and managers are clearly a need in the state of North Carolina for public sector workers. We are calling for the adoption of a “Bill of Rights” for public sector workers at the local and state levels to recognize, codify, and protect our rights and interests as public employees. I implore the Obama Administration, the national, state, and local Democratic Party, Governor Purdue, and state elected officials who support fairness and justice, to contact officials in the City of Charlotte and strongly urge them to honor and enact a Municipal Workers Bill of Rights ordinance. I implore the Obama Administration to call on the State of North Carolina to repeal NCGS 95-98, thereby coming into compliance with international labor standards that the US government is obligated to uphold by its membership in the International Labor Organization of the United Nations.